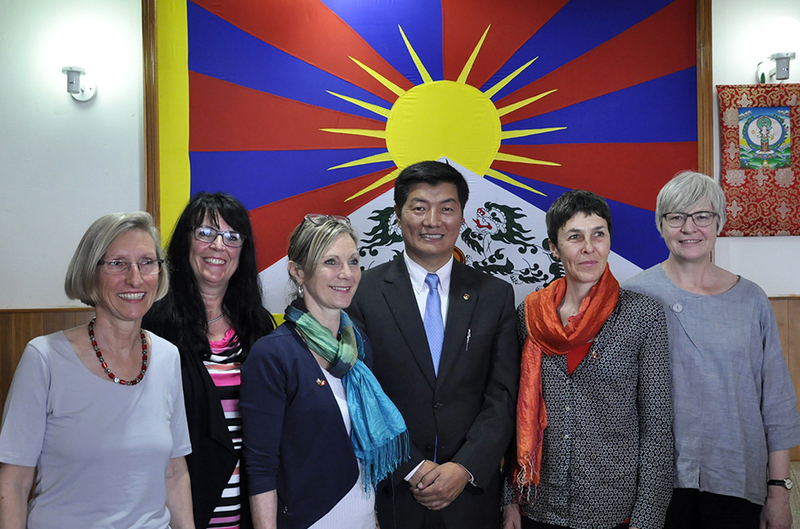 (TibetanReview.net, Mar30, 2017) – The executive head of the exile Tibetan Administration at Dharamshala, India, on Mar 28 received a delegation of six members of the Swiss parliament. He urged them for support on his administration’s Middle Way Policy which seeks genuine autonomy for Tibet under China’s. He informed them that the policy did not contradict Beijing’s One China Policy. The delegation was made up of Maya Gref from the Green Party, Rosmarie Quadranti from the Civil Democratic Party, Marianne Streiff from the EPP, Prisca Birrer Heimo from the Social Democratic Party, Barbara Gysi from the SP SG, and Gina Ruetschi from the District Council: KR. Those who accompanied the delegation included the President and Vice President Thomas Buchli and Lhawang Norkhangsar of the Swiss Tibet Friendship, exile Tibetan MPs from Switzerland Ven Thupten Wangchen and Jampa Tsering Samdho, Representative Ngodup Dorjee at the Office of Tibet Geneva and Executive member Garne Deki of the Tibetan community in Switzerland and Liechtenstein. Elsewhere, a delegation of Chinese lawmakers representing Tibet Autonomous region (TAR) in the National People’s Congress (NPC) – China’s parliament – arrived in Zurich on Feb 28 night for a four-day visit after spending four days in Britain, reported China’s official Xinhua news agency Mar 29. 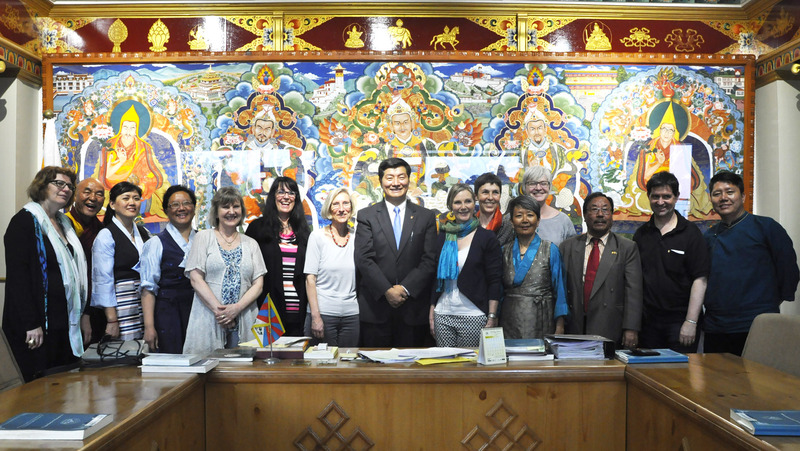 The delegation was headed by Padma Choling, a senior member of China’s NPC Standing Committee. The report said its aim was to introduce the latest information regarding TAR’s social and economic development, environmental protection, as well as cultural inheritance. The report added that the delegation was scheduled to meet with the Swiss media and “local inhabitants from Tibet” and will then head to the Swiss capital Bern to meet officials from the parliament and the Ministry of Foreign Affairs.